Hi, I hope this is the right place to post. It seemed like the most appropriate section. 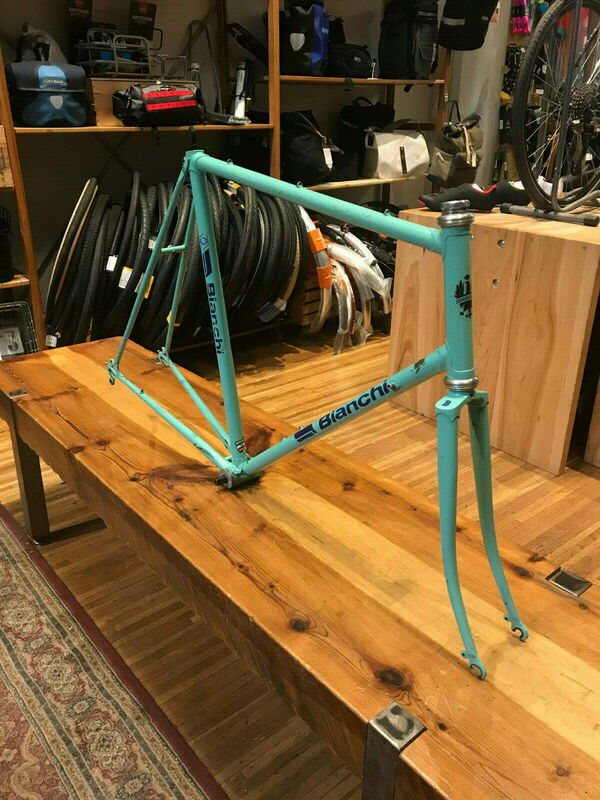 I recently got a early to mid 80's Celeste colored Bianchi and a lot of the decals are in somewhat bad shape and I was looking to purchase some new ones to replace them. I was looking on Velocals but they have a few different color options that look similar to the navyish color I am looking for and I was hoping someone here would have some advice on which color to go with. Hoping someone could help me out! He sells on eBay but you can also buy from him direct. Appreciate the response! I've bought from him directly a few times, I actually have an order in the mail currently. He doesn't seem to have the exact set I am looking for although it looks like I could piece two of his sets to get what I'm looking for. I might follow up with him now that you bring him up again though since the support at Velocals wasn't sure what color and recommended I buy some color chips from them and try to match in person. I think we have the same frame , Alloro . I'm about ready to put on my cals , for my head badge I went with the red banner , not sure I'm going to like it https://velocals.com/bianchi-head-ba...se-color-size/ . For the Bianchi tube cals I got black , block script . No dash or minus https://www.ebay.com/itm/BIANCHI-BIC...8AAOSwZVlXmOSY. I couldn't find a Alloro cal that I liked so I'm going to have some made . Last edited by markwesti; 04-16-19 at 10:30 AM. Looking forward to seeing it, be sure to post it when your done applying them!